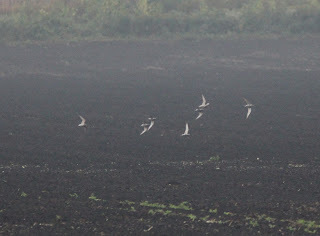 Unsurprisingly, four years of effort to find a Buff-breasted Sandpiper in my home county (Kent), has failed. I do not have statistics on this, but the # of times I have gone out specifically with that species in mind, targeting microhabitat and weather conditions during the approx. Aug 15-Sept 20 peak window of occurrence, has to be approaching 100. So I am something like 0/80. Folks in Berrien County, Muskegon County, etc., may understand what that feels like in concept, but will not have too much empathy for this condition. 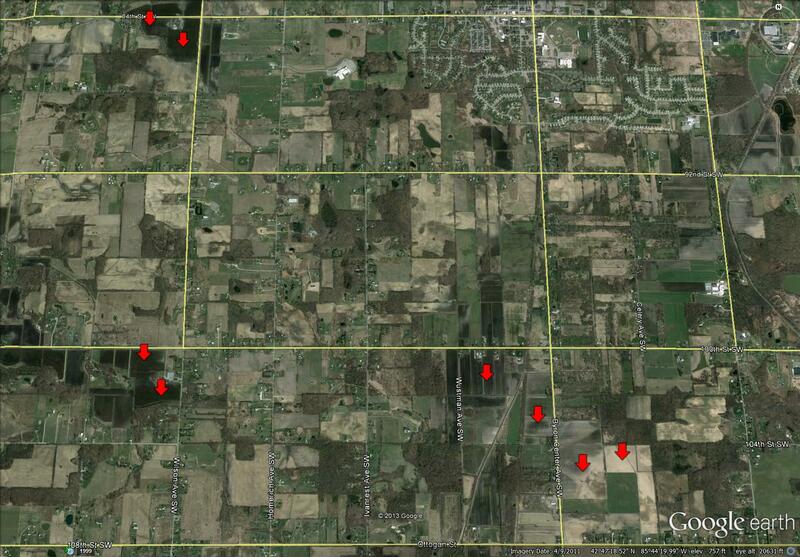 :) My expectation is that this species might be found in Kent County once per decade or so, with annual effort. We shall see. So since mid August I have again been focusing my efforts on the celery flats near 84th and Wilson Ave SW of Byron Center, MI. I especially try to time my visits during inclement weather, which has a well-known habit of knocking migrants out of the atmosphere and putting them down on habitats which they might not otherwise have stopped to use. 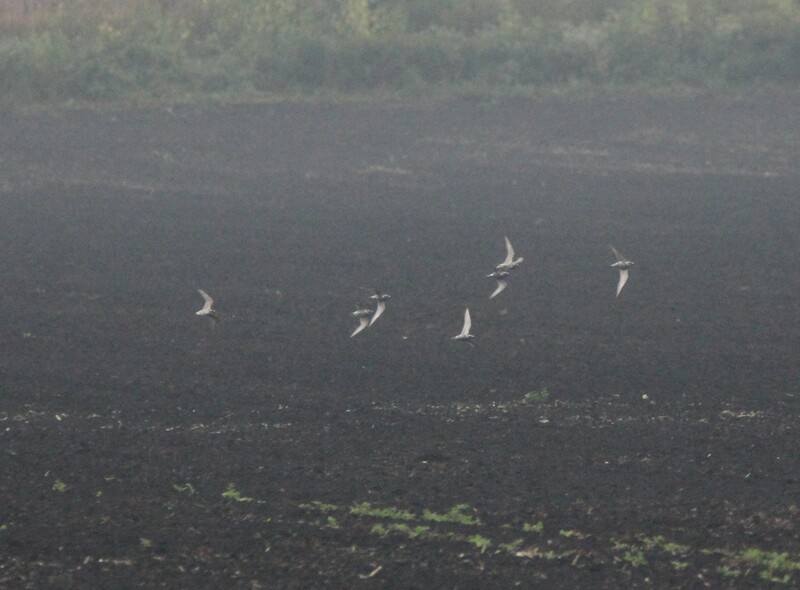 Today, for the first time, this resulted in these American Golden-Plovers (7). This is not the only area currently with habitat. Here is a map showing the other fields currently with flat, unvegetated, terrain, which are a part of my "BBSA loop" currently. How many more years of checking before us bird-deprived Kent County listers strike gold? Anyone want to take bets?